Medical License Defense Attorneys for Drs – Oberheiden, P.C. 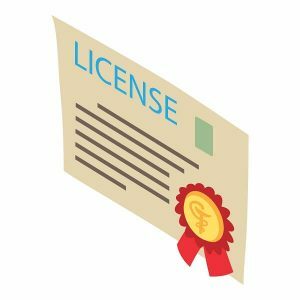 If you are facing the potential loss of your medical license, now is the time to fight to save your reputation, your livelihood, and your career. You’ve worked incredibly hard to get where you are. Physicians and health care providers are some of the most studious, accomplished, and noble professionals in the world. You’re among them, and by virtue of the years you’ve invested in achieving your goals, you deserve to be. Even after your many years of college, medical school, residency, medical board exams, and investing in your job or business, the government has the power to take it all away. This can happen through your licensing board, the state government, or the federal government. These entities perform investigations that can result in disciplinary actions, or federal criminal charges that automatically trigger suspension or revocation of your license in your state. Whatever the case may be, you deserve vigorous and highly strategic legal representation to protect you against any such overly aggressive government action. At Oberheiden, P.C., we work every day to protect physicians and medical professionals from governmental investigation and disciplinary proceedings. Because our clients are esteemed white-collar professionals, who are often seen as pillars of society, our job goes beyond defending against civil and/or criminal penalties. Our goal is also to fight to protect our clients’ reputations, to preserve their good standing in the medical community, and to keep their medical licenses active and intact. Losing your medical license rarely begins with the formal revocation itself. Rather, in most cases, the process starts with something that seems minor or innocent – a routine audit, perhaps, or a letter requesting some basic information. In fact, the information the government asks for might not even be about you. You might only be a witness in an investigation into someone else’s conduct. But so often, witnesses or incidental parties end up becoming the targets of investigations themselves — and usually with little or no warning. As experienced medical license defense attorneys, we explore each and every available avenue of defense for our clients. Our goal is to vigorously address and defeat the government’s actions, end investigations, and spare your reputation and career from undue harm. Don’t risk your medical license by going it alone. Contact Oberheiden, P.C. today. State licensing authorities take drug diversion allegations extremely seriously, especially in the current climate of heightened awareness toward prescription drug abuse and alleged pill mills. Whether or not the allegations are true, the mere suspicion of drug diversion can put your license in immediate jeopardy of suspension, especially if criminal charges are filed. The most blatant examples of drug diversion involve stealing prescription medications from the hospital, writing prescriptions that aren’t medically necessary, or writing prescriptions for personal use or profit. However, allegations might stem from less obvious conduct. This may include failure to dispose of narcotics in the precise method required by law, accidental errors when using the Pyxis system, or mixing up patient files. The medical license law defense lawyers at Oberheiden, P.C. can provide legal services to doctors, nurses, or care providers accused of drug diversion on two fronts. Drug diversion isn’t the only criminal charge that can threaten your medical license. In fact, nearly any criminal conviction — in some cases, even misdemeanors — can have an adverse impact on your ability to lawfully practice medicine (or prescribe drugs). Our firm has helped doctors or care providers who have faced the following issues. You are currently being investigated or charged with any crime (whether related to your medical practice or not). You have previously been convicted and may lose a professional license as a result of the conviction. You have already had a license suspended or revoked due to criminal conviction and wish to appeal. You are facing disciplinary action for failure to timely report a criminal conviction. You are facing legal matters in one state but are licensed in another (or in multiple other states). Everyone makes mistakes. Driving under the influence of alcohol or drugs is a serious matter. But no one deserves to pay for a single bad decision for the rest of their life. Unfortunately, that’s exactly what happens to many doctors, nurses, and pharmacists who are charged with DWI or DUI. Ironically, it seems that the harder you work and the more you achieve in life, the harsher the punishment and stigma can be when you make a mistake. As you may know from your own colleagues’ experiences, a DUI can be a life-changing, career-ending event. As a Doctor license defense law firm, we fight to minimize any permanent impact a DUI conviction might otherwise have on your ability to practice medicine, or write or fulfill prescriptions in your state. A positive test result for the use of illicit drugs – or even some lawful but judgment or performance-altering medications – can have an automatic effect on your medical license. If you test positive for drug use during a routine employment drug screen, for example, the result may automatically be reported to the state medical licensing board. In many cases, this will immediately and automatically suspend your license as a matter of policy. But it is entirely possible to be accused of improper drug use and still keep your license. We have helped many clients achieve exactly that result, even in light of a positive drug test. While every case is different, and we can never guarantee a particular outcome, you should always consult an experienced attorney before voluntarily surrendering your medical license, entering any impairment program, or making any agreements or confessions. Ideally, you should consult with an attorney who has specific experience in both health care criminal defense and medical license defense. At Oberheiden, P.C., our attorneys are well-versed in both fields, and we provide our services to medical professionals in Texas and throughout the United States regarding federal law germane issues. Suspensions are not the same as revocations, and generally speaking, they can be challenged. But time matters. There is a limited window of time in which to appeal an initial suspension order. An experienced medical license defense lawyer in our office can help you request a hearing to challenge your suspension. We have helped many medical professionals keep their licenses after a suspension. If you are a medical school graduate who is having difficulty applying for or obtaining a medical license, our office might be able to help. But these issues do not necessarily have to keep you from ever practicing medicine. You’ve come too far to give up now. Contact Oberheiden, P.C. and ask how we can help. Should You Report Your Legal Problems in One State to Other States? In many cases, yes. But you should be careful in what you report, when you report it, and to whom you offer the report. It is essential, of course, that you fully comply with the law. That includes providing notice of legal problems in a timely manner whenever and wherever required. But you should not reveal more than is required of you, especially if divulging too much information could trigger unnecessary legal obstacles or disciplinary action. It is in your best interest to consult with an attorney to ensure you walk that line lawfully and delicately. Don’t risk your career by facing the suspension or revocation process on your own. Get aggressive, experienced legal experience on your side today. Our lawyers are available 24 hours a day, seven days a week, to talk about your legal matter and how we might help. Please contact us right away. This information has been prepared for informational purposes only and does not constitute legal advice. This information may constitute attorney advertising in some jurisdictions. Reading of this information does not create an attorney-client relationship. Prior results do not guarantee similar future outcomes. The Oberheiden, P.C. PLLP is a Texas PLLP with headquarters in Dallas. Mr. Oberheiden limits his practice to federal law.